Vishnu Viswanath (29) and Meenakshi Moorthy (30) died last week after falling from Taft Point – a popular overlook at the park that does not have a railing – and their bodies were recovered by park rangers on Thursday. The couple fell almost 800 feet in an area surrounded by steep terrain and rescuers had to use a helicopter to recover the bodies. 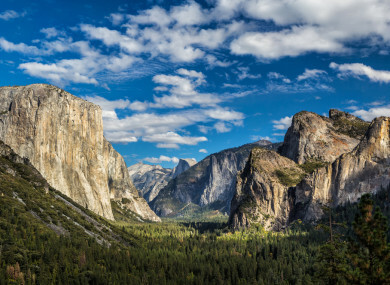 Email “Couple dies in California's Yosemite National Park while apparently taking a selfie”. Feedback on “Couple dies in California's Yosemite National Park while apparently taking a selfie”.